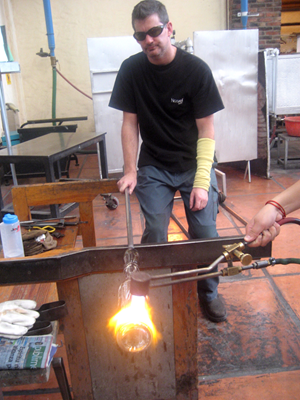 Born in Canberra, Jonathan Baskett first encountered glass blowing as glass assistant at the Isle of Wight Glass, England. He eventually took up glass at the Canberra School of Art while working occasionally in New Zealand, England, Germany, Denmark, Italy and Sweden. In 2001 Jonathan got a call from Michael Kramer, to whom he’d been an apprentice in Germany. 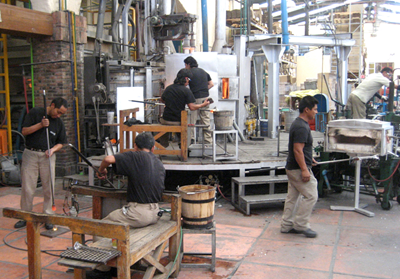 Kramer had been employed as director for the Mexican glass company Nouvel Studio. 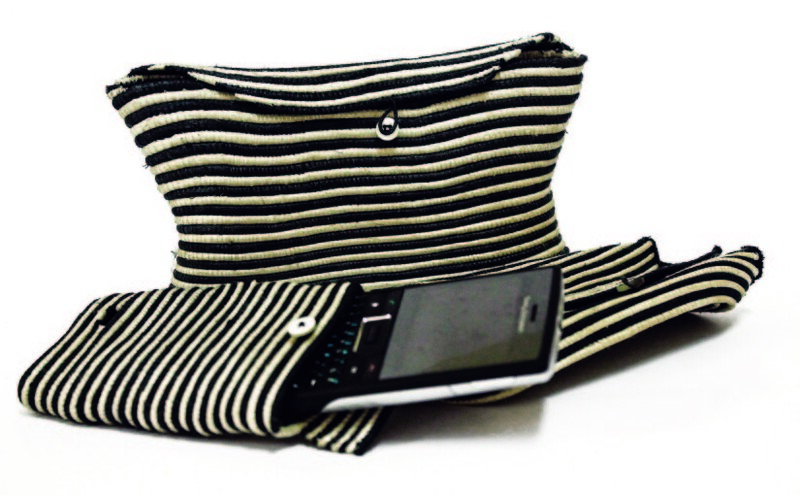 In 2003 Jonathan started making his own work at Nouvel, then returned in 2005 to work with them as a designer. He is back there right now helping with their research and developing his own work. For Jonathan, there’s nothing like Nouvel Studio in Australia. The Mexicans cater for a broad range of techniques, from hand-craft to full-automatic. Jonathan’s role in the research team is to find a way of taking designs from paper, through initial manual production eventually into automated processes through CAD designs—‘I’m the guy on the floor exploring particular techniques’. While this may seem a step away from pure craft production, Jonathan sees this as a reality of contemporary glassware. Even Swedish companies that previously prided themselves on handcrafted products, now are operated by robots behind closed doors. 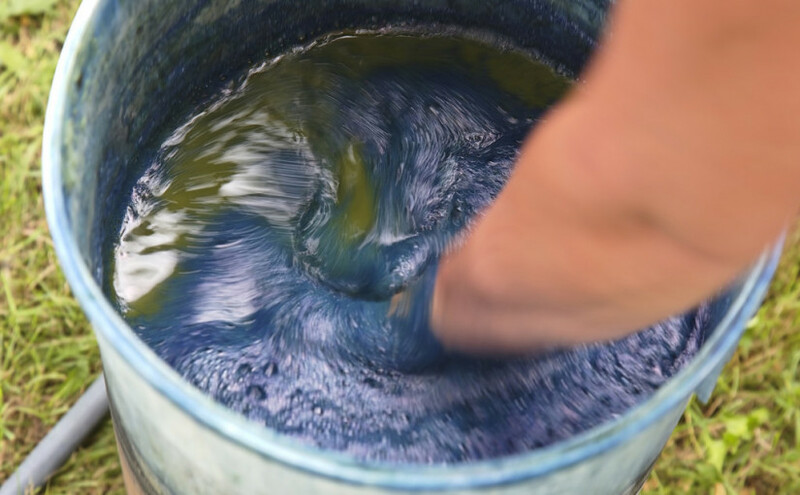 Whereas at Nouvel the handmade still has a place, with 9-10 artisans devoted to craft processes. 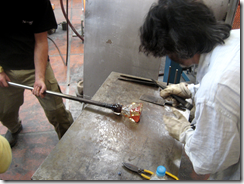 My role is to work with the designers and the glass blowers. I interpret the designers’ ideas and relate them to the glassblowers sought of a go between. We work as a team and ideas are shared. 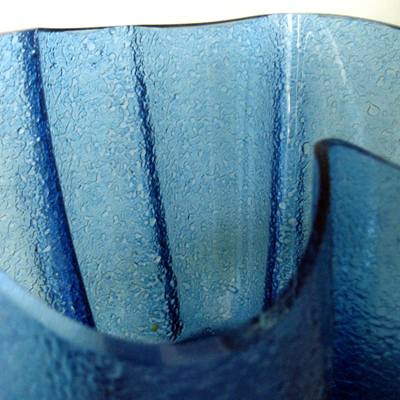 The director is interested in texture and colour; it was my idea to use glass frit on the outside of the pieces. 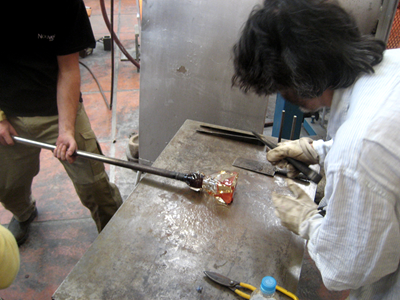 I also suggested the use of wire to make instant moulds however the execution of the pieces was left to the designers as I was then working with the glass blowers on technique. Jonathan is currently working on a series of tequila bottles, to be sold for $2,500 each. With colleagues, he has been experimenting with textures, which lead to the use of frit that will feature in the range of his own bowls that he has on display in the World of Small Things. He enjoys the creative environment. The director is continually setting challenges—‘It’s like art school, you’re always experimenting.’ While there are some subtle class differences between the designers and workers, Jonathan finds little sense of hierarchy and certainly no colour prejudice. While glass is not a traditional Mexican material, Jonathan finds that Mexicans have a creative flair —‘Everyone you meet will have an opinion about whether or not they like that particular colour or combination.’ Pragmatically, producing from Mexico gives Jonathan access to the USA market. Thanks to Nouvel, his work is now stocked at Moma in New York. Jonathan’s work in Mexico leads us to question how craft techniques might survive not in opposition to industrial processes, but alongside. And even though glass is not a traditional Mexican material, when we look at Jonathan’s work do we think of the exuberance and colour of Mexican folk culture? Is there a particular style of working that makes Australians well-suited to operating between designers and makers? 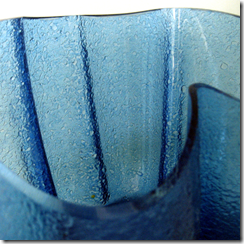 Certainly there is the element of art and creativity in the process of glass design. Thanks for these insights.